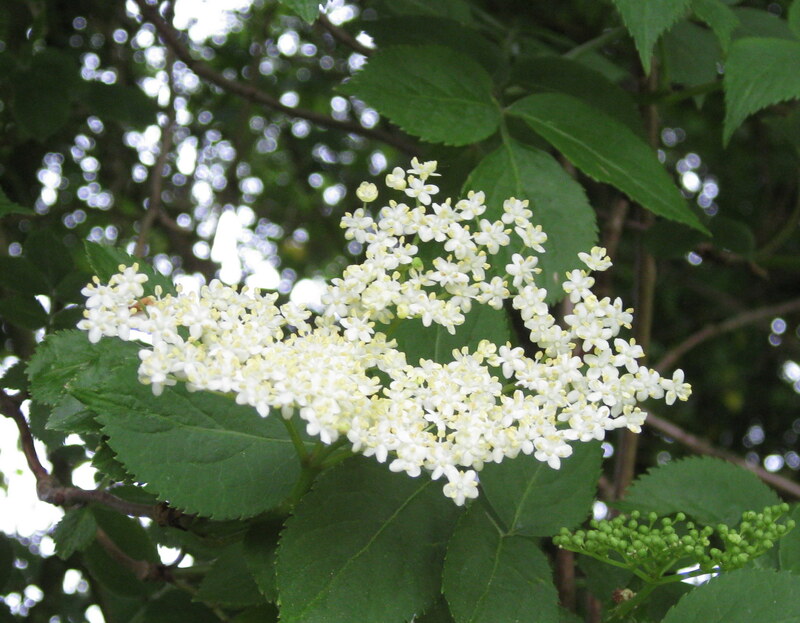 In warm sheltered areas the first elderflowers are now out and if you want to make elderflower cordial you should pick them whilst the flowers are still young. Although you can buy perfectly good elderflower cordials it is nice to make something yourself – and the flowers are free! Each year I make a little more but, by the time I have given some away to friends, it is still never enough. Not only does it make the most refreshing drink when mixed with sparkling water it is also a great flavour to have in many desserts using our soft fruits as they appear throughout the summer. The classic combination is with gooseberries, but gooseberries sweet enough for dessert won’t be ready until July – cordial is the way to enable this magical taste combination to happen. This entry was posted in Food Culture, Food Culture Articles, May - Articles. Bookmark the permalink.